Greetings from Wipro Ltd hiring team! 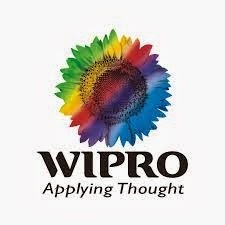 We have immediate multiple opportunities for Senior Engineer/Technical specialist role at Wipro Ltd for various locations , really interested and keen in associating with us to take up challenging projects and add a silver line to your career---Please apply immediately. Below are the details for your reference. Knowledge on Netbackup 6.x, 7.x on different OS platforms. Good knowledge of de-duplication technology like Data Domain. Experience on supporting heterogeneous environments with Net backup . Configuration & management of Virtual/physical Tape Libraries, Enterprise to mid-level tape libraries. Designing & Implementation Knowledge on Net backup 6.x, 7.x6. Net backup Server level version upgrades and also migration of Netbackup Master and Media servers from Solaris to Linux. Ability to provide technical recommendations on Netbackup architecture. Troubleshooting issues related to backup environment at server level and client level with RCA's.9. Strong understanding of Net backup error codes and resolution. Perform builds(master and media servers), decommissions, and verifications of backup setup. Advanced knowledge with performance tuning and optimization in Net backup. Backup capacity planning and performance. Full time regular graduates with relevant years of IT experience. Must have all the documents-Educational /Previous employer-offer and relieving letter. Must be available for a face to face discussion post screening round as we are projecting to close the positions immediately. In case you feel this is the right opportunity for you and you meet our hiring norms, kindly share in your cvs to (email-id) along with the an updated resume with the details filled in ASAP. 9. Educational details along with Percentage. We shall screen the cvs through telephonic mode and if found suitable shall proceed with further rounds of discussion.